Hypertension, also known as high blood pressure, is a medical condition in which the blood pressure in the arteries is elevated. High blood pressure causes your arteries to stretch beyond normal. There are risk factors that can increase your chances of developing hypertension. Some of these risk factors are based on your lifestyle and can be controlled, like your diet. Other risk factors can’t be controlled, such as age or gender. Research shows that there is a link between vitamin D and hypertension. People with higher vitamin D levels tend to have lower blood pressure and are less likely to develop hypertension. Some studies show that taking a vitamin D supplement may help people lower their blood pressure. However, the research has been inconsistent, meaning that we can’t say for sure whether or not taking vitamin D supplements would reduce your chances of developing hypertension or reduce your blood pressure. If you have hypertension or you are trying to prevent hypertension and want to take vitamin D, it is unlikely to make your hypertension worse or cause you any harm, as long as you take less than 10,000 IU per day. However, we also can’t say for sure if it will help to prevent or treat hypertension. If you have hypertension, you shouldn’t take vitamin D in place of your treatment medications. Talk to your doctor for more advice about taking supplements. Hypertension is a chronic medical condition in which the blood pressure in the arteries is elevated. 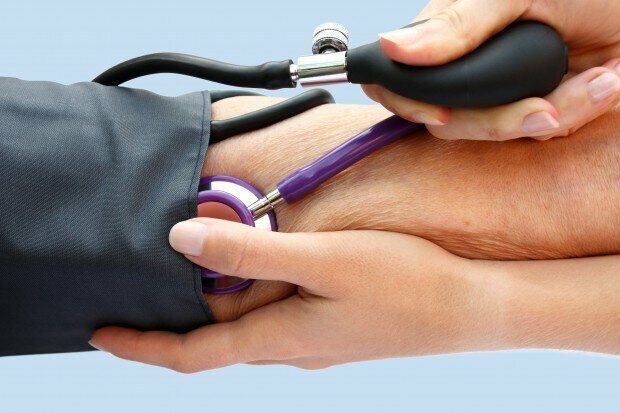 High blood pressure causes your arteries to stretch too much. Stretched arteries can form scars, which catch debris such as cholesterol, calcium or blood cells. A build-up of this debris can block your arteries, so less blood is able to travel throughout your body. This can put extra stress on your heart because it will have to work harder to get blood to different parts of your body1, which can increase your chance of other complications, like a stroke. Worldwide, about 4 out of 10 people have hypertension. 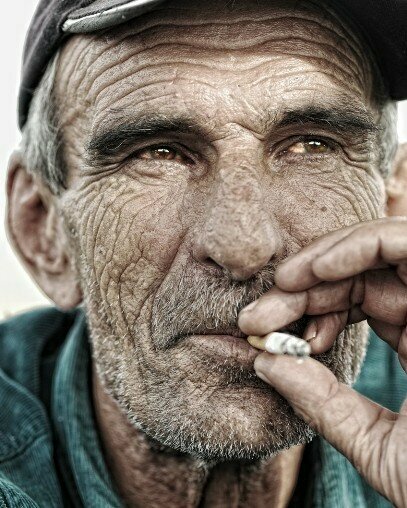 Smoking increases your risk of developing hypertension. Worldwide, about 4 out of 10 people have hypertension. In the United States, 1 out of every 3 adults has hypertension. Gender. Hypertension is more common among men. Family history. If a close family member has or had hypertension, then you have an increased risk. Age. As you get older, your blood vessels lose the ability to expand, which can contribute to high blood pressure. Race. 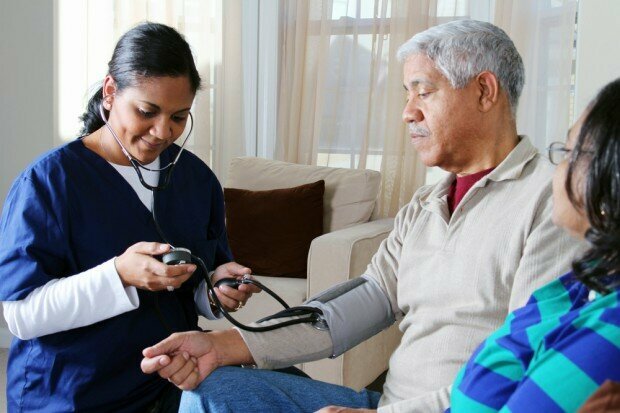 African-Americans are at a greater risk of having high blood pressure. Diet. 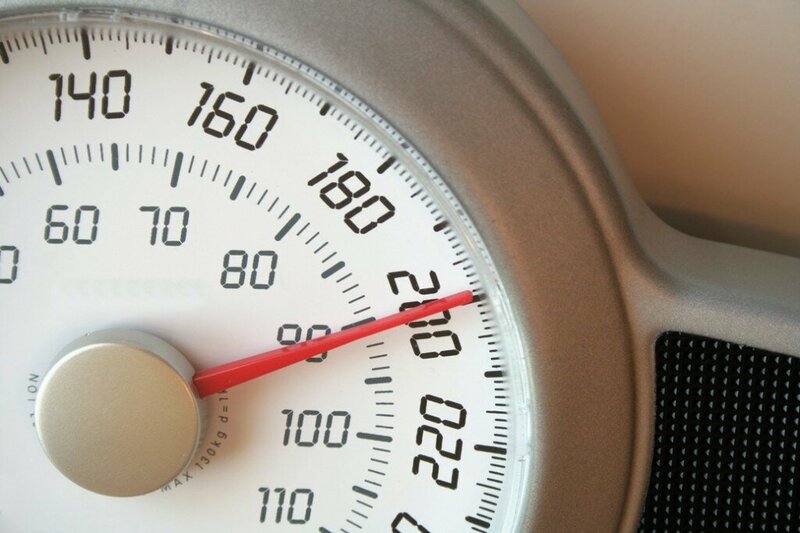 A diet high in cholesterol, salt, and fat can increase your chance of developing high blood pressure. Hypertension is diagnosed based on your blood pressure. Blood pressure is measured as your systolic blood pressure over your diastolic blood pressure. Systolic blood pressure is the pressure put on your arteries when your heart beats and pumps blood. Diastolic blood pressure is the pressure put on your arteries between heartbeats, when your heart is resting. High blood pressure is when your systolic blood pressure is higher than 140 millimeters of mercury (mmHg) and/or diastolic blood pressure is higher than 90 mmHg1. What is the link between vitamin D and hypertension? Studies have shown that there is a link between vitamin D and hypertension. People who have higher vitamin D intake tend to have lower blood pressure. Sometimes, your body can produce too many cells in the muscle that lines your blood vessels. A build-up of these cells can lead to plaque, which makes it harder for blood to travel throughout your body. Researchers have found vitamin D receptors on these cells, and vitamin D can bind to these receptors. This may help to reduce the risk of cells building up in your blood vessels. Also, vitamin D may help in reducing the activity of the system that controls your blood pressure. This system is called the renin-angiotensin system. When this system is overactive, blood pressure can increase. However, researchers still aren’t sure what causes the blood pressure system to become overactive and don’t know yet for sure how vitamin D can help to control its activity. What does the research say in general about vitamin D and hypertension? Research shows that vitamin D may help in lowering blood pressure in people with and without hypertension. Research has looked at the role of vitamin D in helping to lower blood pressure in people who don’t have hypertension. One large study found that people with higher levels of vitamin D had lower blood pressures and a lower risk of developing hypertension5. Some experiments have looked at the effect of vitamin D on blood pressure in people who have hypertension. One review of many experiments found that taking a vitamin D supplement lowered systolic blood pressure but not diastolic blood pressure6. However, not all studies have found that vitamin D lowers blood pressure, so we can’t say for sure whether or not vitamin D helps lower blood pressure and reduce the risk of hypertension. For each 10 ng/ml increase in someone’s vitamin D levels, they had a 12% lower risk of developing hypertension. The people with the highest vitamin D levels had a 30% lower risk of developing hypertension compared to the people with the lowest levels. This study was very large and looked at many people. However, all of the studies were done in the United States meaning that we can’t know for sure if the results would be the same in other populations. For every increase in vitamin D supplementation and vitamin D levels in the body, systolic blood pressure decreased. Diastolic blood pressure didn’t change in any group. Some of the people in the study were taking medication that lowers blood pressure, so we can’t know for sure if vitamin D was responsible for the results. There was no difference in blood pressure changes between the groups. The study used only a small dose of vitamin D and also included calcium, which makes it hard to say whether or not vitamin D on its own would have had an effect. The people in the vitamin D group lowered their blood pressure more than the people getting the dummy pill. People in the vitamin D group who had low levels of vitamin D at the beginning of the study had a bigger reduction in their blood pressures. Vitamin D may be more effective in lowering blood pressure in people who have low levels of vitamin D.
However, all of the patients in the study were taking medication for their hypertension, so we can’t say for sure whether the results are from vitamin D or from the medication. Vitamin D levels increased throughout the study. The blood pressure system was greatly reduced. Since an overactive blood pressure system can lead to higher blood pressure, vitamin D may help to reduce risk of hypertension. Research has shown that people with higher vitamin D levels are more likely to have lower blood pressure and are less likely to develop hypertension. Studies have shown that taking a vitamin D supplement can reduce blood pressure in people with hypertension. Some research has shown that taking a vitamin D supplement helps regulate the blood pressure system in the body. However, not all trials show reduced blood pressure after taking vitamin D. This means that we can’t say for sure if vitamin D is a main factor in preventing hypertension or in lowering blood pressure. More experiments are needed to say for sure whether or not vitamin D may help to lower blood pressure and reduce risk of hypertension. People with high vitamin D levels have lower blood pressure and are less likely to develop hypertension. Research shows that there is a link between vitamin D, hypertension and blood pressure. People with high vitamin D levels have lower blood pressure and are less likely to develop hypertension. Studies have shown that supplementing with vitamin D may help lower blood pressure and may help regulate the blood pressure system in people with hypertension. However, most experiments have used a small sample size, so more experiments are needed. If you have hypertension or you are trying to prevent hypertension and want to take vitamin D, it is unlikely to make your hypertension worse or cause you any harm, as long as you take less than 10,000 IU per day. However, it’s not proven that it will help your hypertension. It’s also not proven if taking vitamin D will help you prevent hypertension. Studies have shown that supplementing with vitamin D may help lower blood pressure and may help regulate the blood pressure system in people with hypertension. However, most experiments have been small, so more experiments are needed. Other aspects of sunlight may help to regulate blood pressure in your body. Researchers are interested in the ability of ultraviolet-A wavelengths to help release stores of nitric oxide in your skin and help them move throughout your body. Nitric oxide helps to regulate and lower blood pressure! High Blood Pressure. American Heart Association, 2012. Web. 21 February 2014. http://www.heart.org/HEARTORG/Conditions/HighBloodPressure/High-Blood-Pressure-or-Hypertension_UCM_002020_SubHomePage.jsp. Yeo, T. P. & Burrell, S. A. Hypertensive Crisis in an Era of Escalating Health Care Changes. Journal of Nurse Practitioners 2010;6;338-346. Raised blood pressure. World Health Organization, 2014. Web. 21 February 2014. http://www.who.int/gho/ncd/risk_factors/blood_pressure_prevalence_text/en/. Ullah, M. et al. Does Vitamin D Deficiency Cause Hypertension? Current Evidence from Clinical Studies and Potential Mechanisms. International Journal of Endocrinology 2010;579640;1-11. Witham, M. et al. Effect of vitamin D on blood pressure: a systematic review and meta-analysis. Journal of Hypertension 2009;27;1948-1954. Kunutsor, S. K. et al. Vitamin D and risk of future hypertension: meta-analysis of 283,537 participants. European Journal of Epidemiology 2013;28;205-221. Forman, J. et al. Effect of vitamin D supplementation on blood pressure in blacks. Hypertension 2013;61;779-785. Margolis, K. L. et al. Effect of calcium and vitamin D supplementation on blood pressure: the Women’s Health Initiative Randomized Trial. Hypertension 2008;52;847-855. Larsen, T. et al. Effect of Cholecalciferol Supplementation During Winter Months in Patients with Hypertension: A Randomized, Placebo-Controlled Trial. American Journal of Hypertension 2012;25;1215-1222. Carrara, D. et al. Cholecalciferol administration blunts the systemic renin-angiotensin system in essential hypertensives with hypovitaminosis D. Journal of the renin-angiotensin-aldosterone-system 2013;15;82-87. 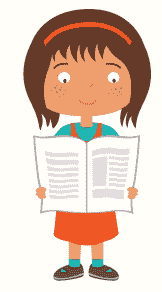 This page was last updated April 2014.